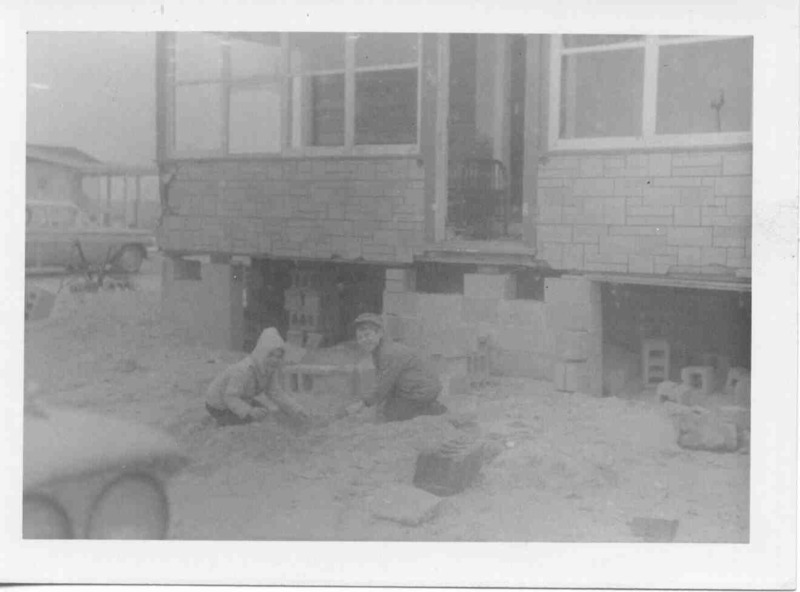 Young Jim and Cousin Eddie in the driveway, their backs towards the ocean. 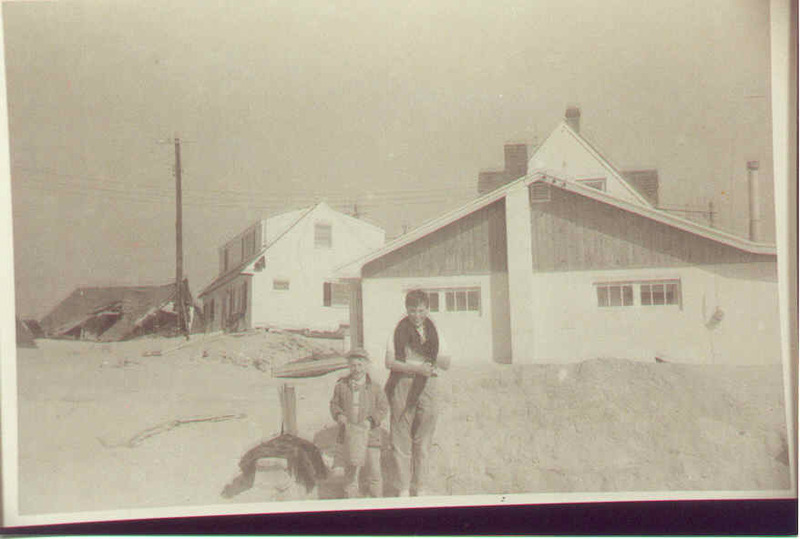 The house in the distance next to the electric pole had ended up in the middle of street after turning almost completely around after coming off the foundations a bit to the left of where it ended up sitting. 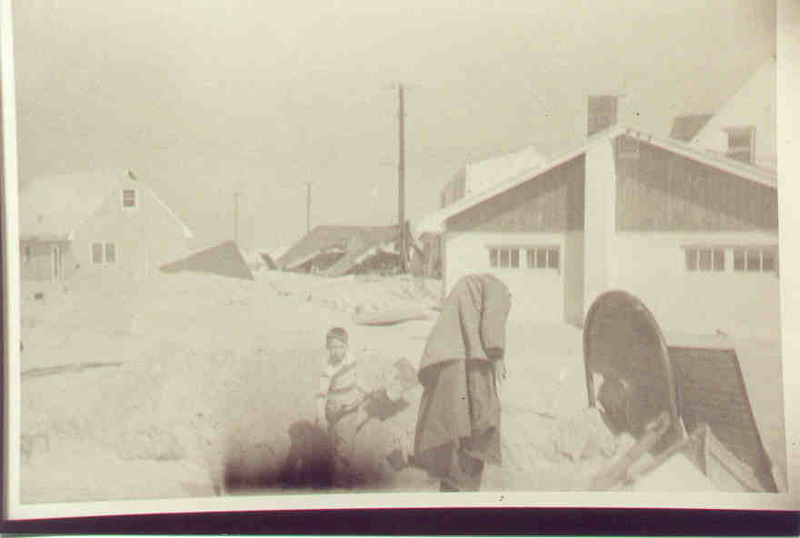 Jimmy grabs the shovel to help dig in search of the water line. 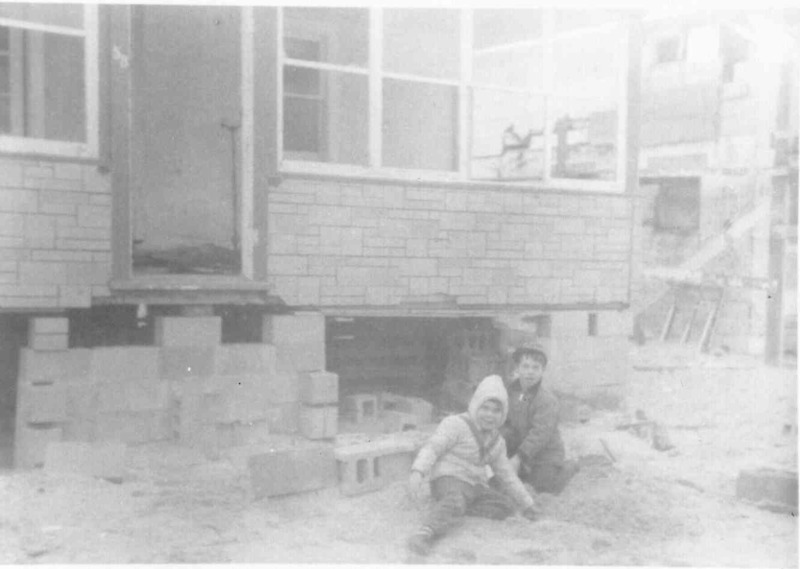 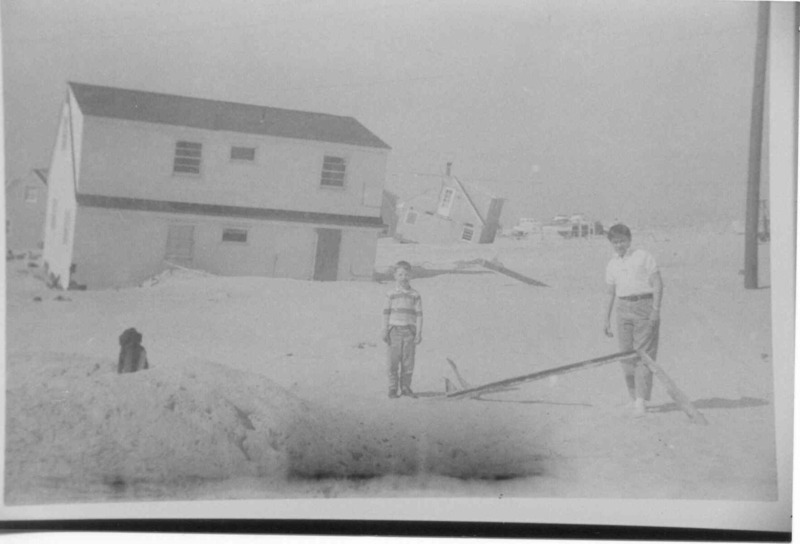 Jim and Eddy are behind the house, standing in the empty space that would become Joan Road, and up the street a bit towards the ocean; behind them is the house that had turned around and moved into the middle of Jacqueline Ave.